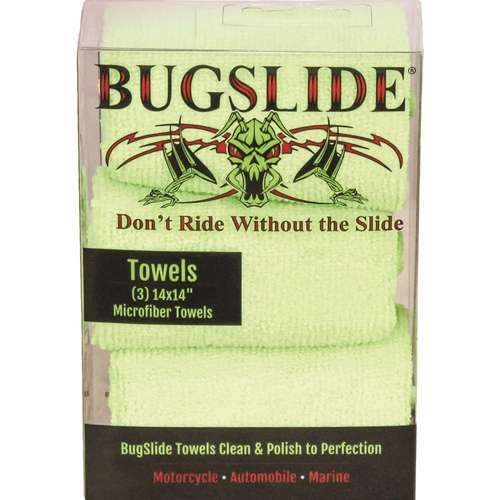 Use BugSlide microfiber towels to clean and polish your ride to perfection. You'll never need to wax again with the cleaner, polish and bug remover with attitude. Don’t ride without the slide.